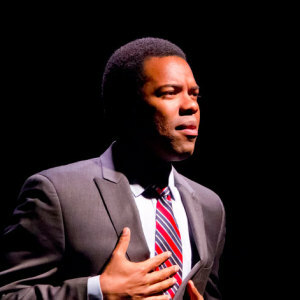 Aaron Mosby began his theatrical and improvisational education as a teenager at the world renowned Children’s Theater Company in Minneapolis, MN. He picked up his improv training ten-ish years later at WIT in the summer of 2009. In 2010, Aaron joined the WIT faculty as a TA and in 2011 he began his teaching career. Aaron has competed in the Fighting Improv Smackdown Tournament (FIST), was selected as a cast member for the 2012 run of POTUS Among Us and is a founding member of the WIT ensemble Nox!. He picked up his improv training ten-ish years later at WIT in the summer of 2009. In 2010, Aaron joined the WIT facility as a TA and in 2011 he began his teaching career. Aaron has competed in the Fighting Improv Smackdown Tournament (FIST), was selected as a cast member for the 2012 run of POTUS Among Us and is a founding member of Nox. Aaron Mosby is a proven IT strategy consultant who helps organizations automate business processes using a variety of technology solutions. In his current role as Lead Strategy Consultant at D.C.-based IT services company New Signature, Aaron works with executives at some of the areas most influential associations and corporations to align business and technology strategy. He is responsible for leading teams of consultants to deliver technical solutions rapidly and with the highest attention to customer service. Prior to joining New Signature, Aaron worked as a Business Solutions Engineer at Synterative, an Analyst at SRA International, an IT Business Analyst for Atlantic Media Company, a Communications Coordinator at SmithBucklin and a Research Analyst at the Business Higher Education Forum. Aaron earned a BA in English and American Studies from The College of William and Mary in 2005. Aaron joined the WIT community in 2006 as an enthusiastic audience member and volunteer. In early 2009, he began taking WIT classes and by the end of 2010 he had completed the WIT curriculum, served as a TA at every level and had begun his WIT teaching career. Today, Aaron specializes in teaching advanced students the art of Scene in L3. His passion for improv extends beyond the classroom into performance as a member of Nox. Aaron lives in LeDroit Park in Northwest DC. Crime is a sucker's road and those who travel it wind up in the gutter, the prison or the grave.